​with a care that seems of another age. 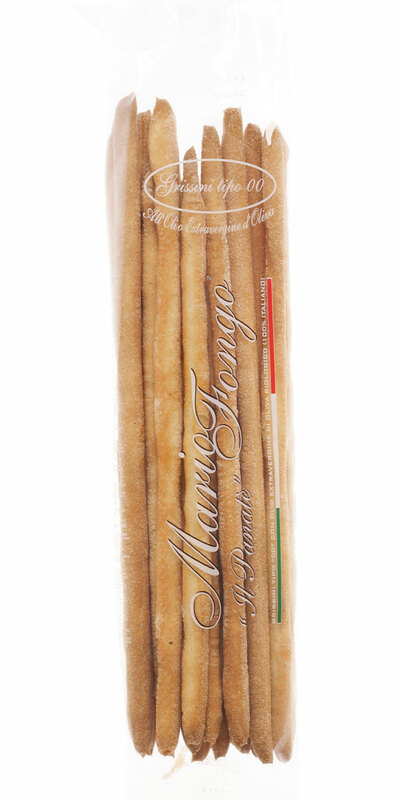 Traditional hand-stretched breadsticks made exclusively from water, flour, salt, yeast, a little lard and extra virgin olive oil entirely produced in Italy. 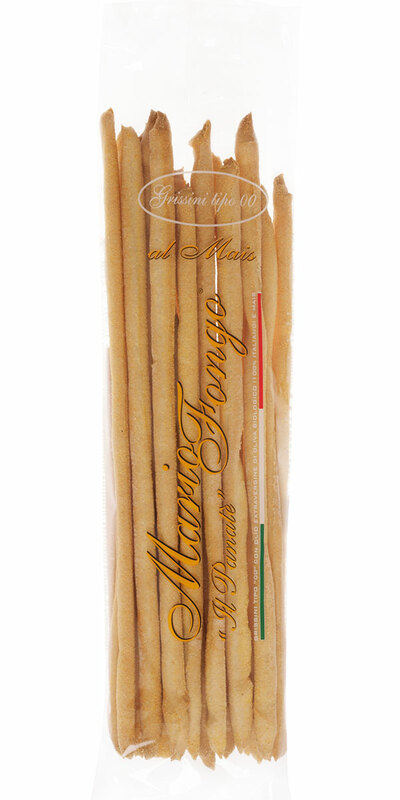 With their unmistakable fragrance, they combine perfectly with any type of food. An original version for a classic of goodness: the breadsticks with corn flour delight the eyes with their golden colour and are the joy for the taste with their light texture and the typical flavour of corn flour. 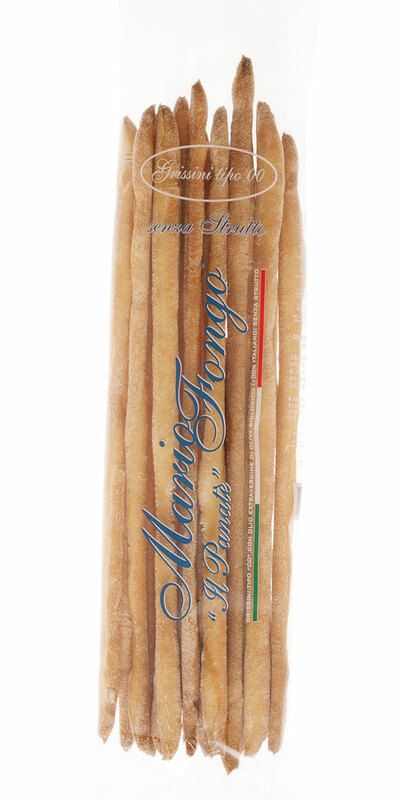 Because good food and tradition can also go hand in hand with lightness: Mario Fongo has created this version of his breadsticks without the softness of lard, but maintaining all the flavour, by harmoniously blending all the other ingredients. 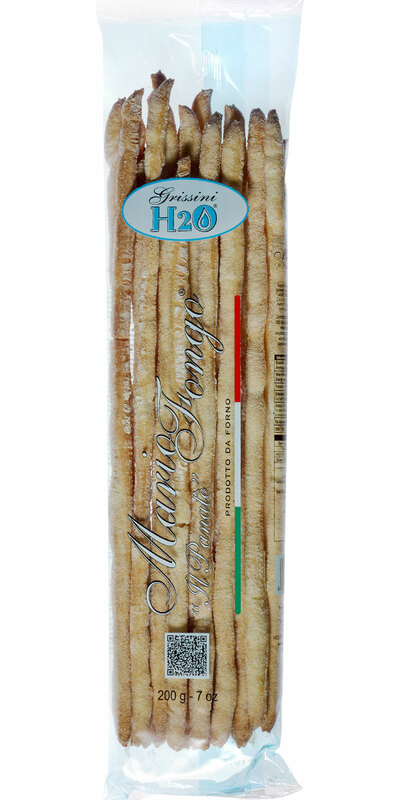 H2O stretched breadsticks complete the vast range of Mario Fongo’s stretched breadsticks. 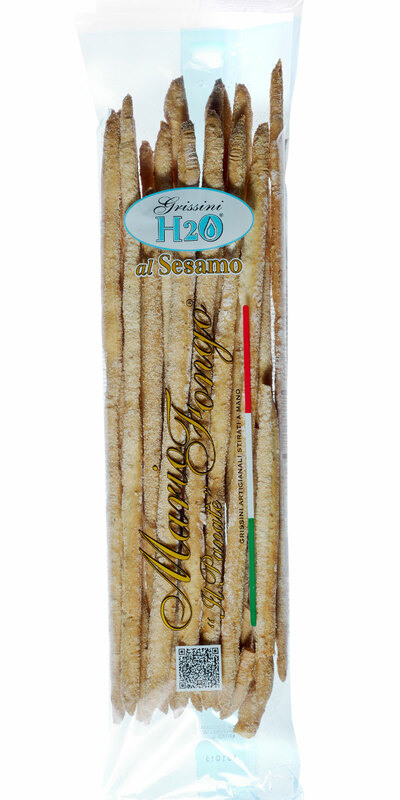 The use of water rather than fats gives this product its unique lightness, the hand-kneaded dough and the long natural leavening process guarantee the same delicious flavour as traditional breadsticks and a long-lasting crumbliness. Perfect version of H2O breadsticks, the sesame seeds add to the dough the warm oriental charm and an assertive and exquisite flavour. ​The hand-kneaded dough and the long natural leavening process guarantee the same delicious flavour as traditional breadsticks and a long-lasting crumbliness. 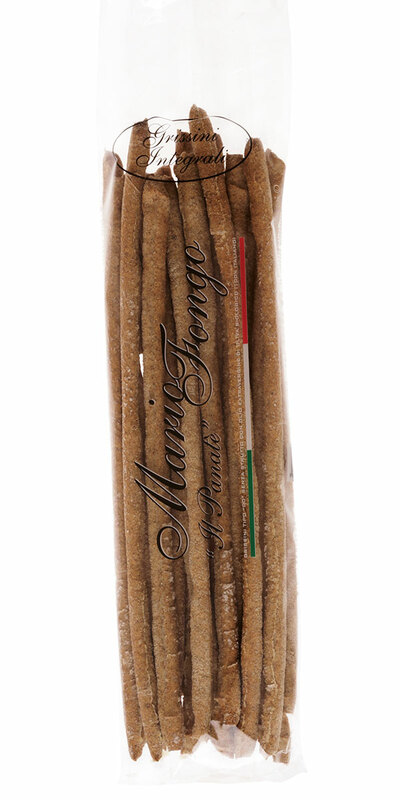 Stretched breadsticks with wholewheat flour will amaze with their strong crispness and the intense flavour, full of aromatic nuances that everyone loves; they also meet the requirements of a modern and well-balanced diet.